G&M Glazing Services - Fascia/Soffits/Guttering, Windows/Doors/Conservatories based in Stockton-on-Tees, Durham. About Us Welcome to G&M Glazing Services. We have over 35 years of experience in the Glazing & Double Glazing Industry. We pride ourselves by giving our customers the products & services they deserve. With a very satisfied customer base in both the private & commercial sectors and with an excellent after sales service. 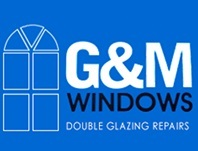 G&M Glazing Services aims to provide customers with a low cost repair solution for double glazing windows, doors and conservatories: for example why not upgrade your existing window with energy efficient double glazing units saving you ££££. With a friendly speedy service in Teesside, Darlington, North Yorkshire and surrounding areas you will need to look no further. We are also a Fensa registered company, therefore, we can provide an installation service using a high quality uPVC profile and only installing A Rated products as standard. For peace of mind all new installations of uPVC come with a 10 year insurance backed warranty.